This table consists of a two plank top with a moulded edge which leads down to a drawer to the front with turned knob handle. The table is supported by four finely turned legs of superb patina joined with a wide H-stretcher with moulded edge, all supported on finely turned bun feet. 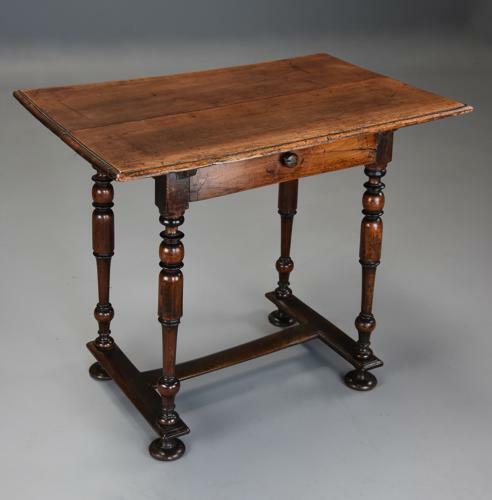 This table is in very good condition for age with evidence of old repairs, is of stable construction and can go straight into a home.